3DEXPERIENCE Workflow Toolkit (WFT) - SteepGraph Systems Pvt. Ltd. » SteepGraph Systems Pvt. Ltd. There is a typical need form many customers that they need a good business process mapping solution in 3DEXPERIENCE. 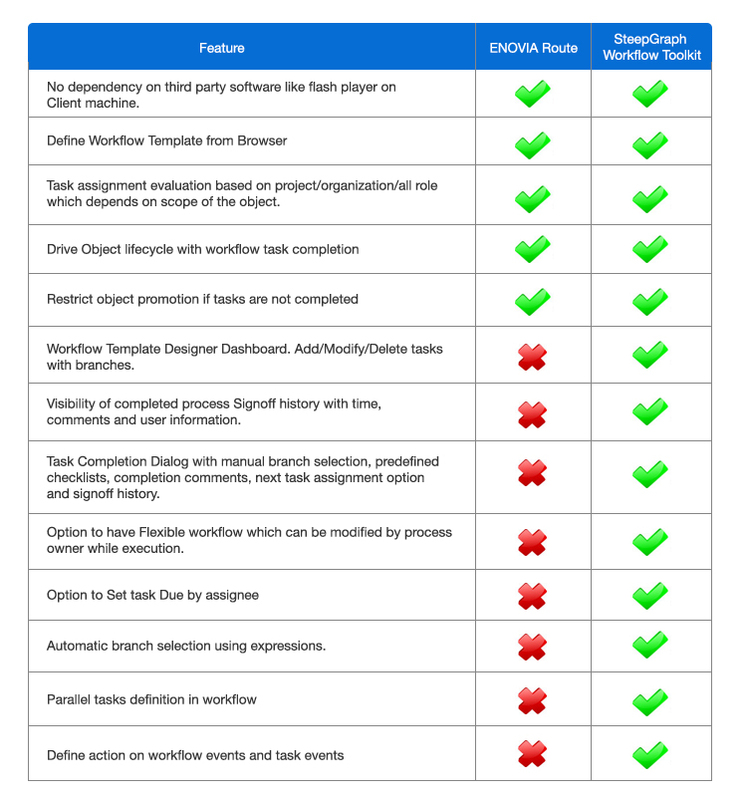 Workflow toolkit is answer to this industry need with powerful workflow design capabilities. With Workflow Toolkit, customer can define equally powerful workflow as in SmarTeam or other PLM Systems. By default workflow is initiated on object creation for predefine Types. But workflow can be also configured to be initiated on particular state of lifecycle or on any trigger event which may need a special approval business process with series of tasks. Workflow template design dashboard for process definition with drag & drop user Interface. 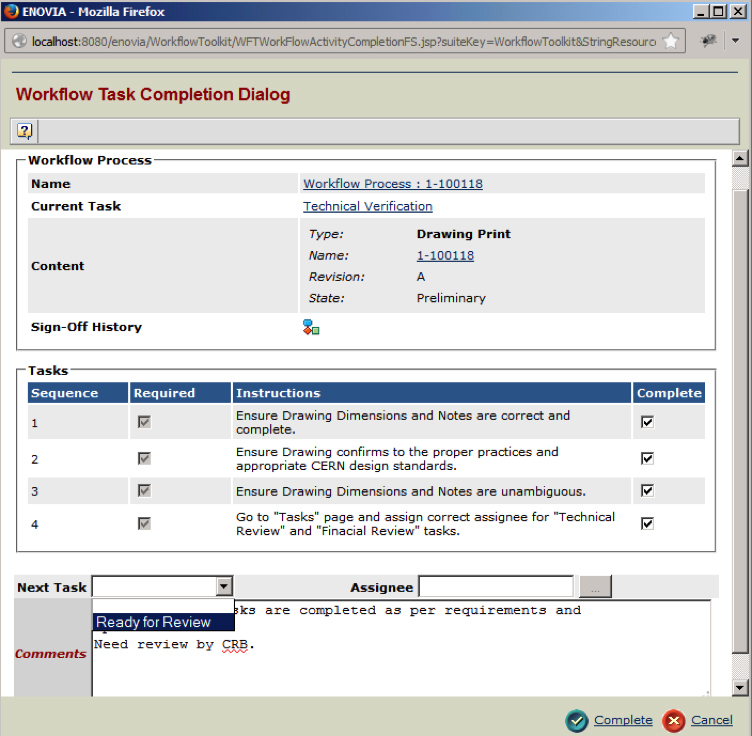 Workflow template task may have checklist items. To be completed during execution. Workflow can have Branching. Branch can be auto selected based on expression or by task assignee selection. Workflow status dashboard can be visible from a command in object category tree. Workflow process can auto promote object to target state as configured. Current task Assignee may select assignee for next tasks while he submits his task for completion. It gives flexibility to choose right person for next tasks. This flexibility is configurable at Workflow template level. Workflow signoff history can be seen for completed tasks. Only CPF license is required to use Workflow Toolkit. No dependency on central, it runs only on BPS. Workflow Toolkit licensing model is per User.